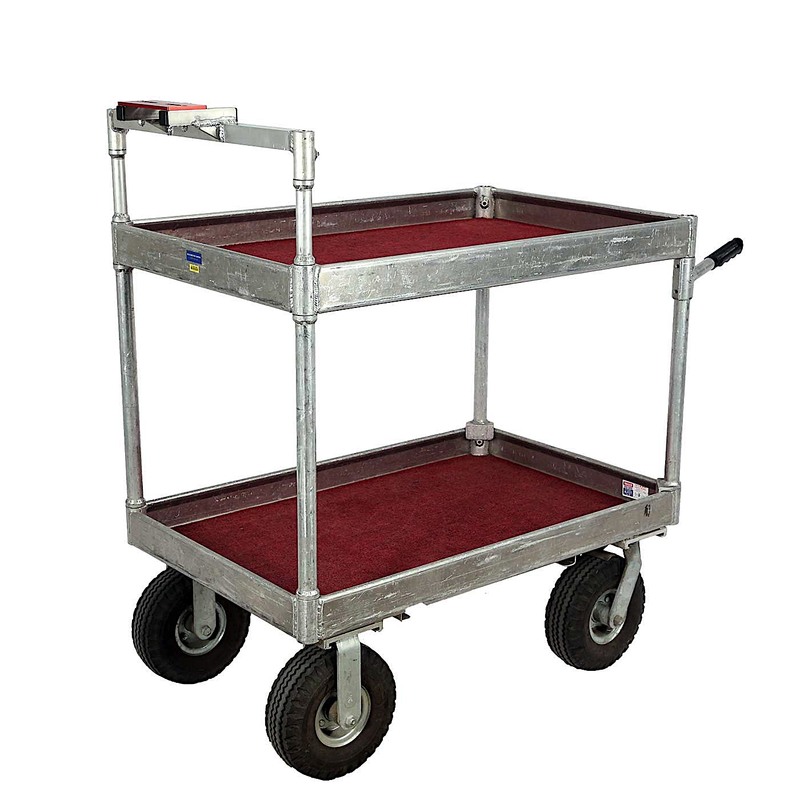 The Yaeger and Sons 26″ x 39.75″ Junior Collapsible Case Cart is made of high grade, heavy duty aluminum. These carts were designed to put up with the abuse and every day stress of professionals constantly on the go from shoot to shoot. This model features 8″ pneumatic casters for a smooth ride, 2 casters are rigid and the other two swivel and include brakes for locking your cart in place when the the need arises. The aluminum shelves feature a 3″ lip and are carpeted to provide a soft platform to lay your gear on. The Yeager Cart Jr. also features dual-purpose pin handles for easy handling as well as for wrapping power cords.